Looks like he chose "eat it". Necklaces from Grace's Pretty Princess game. 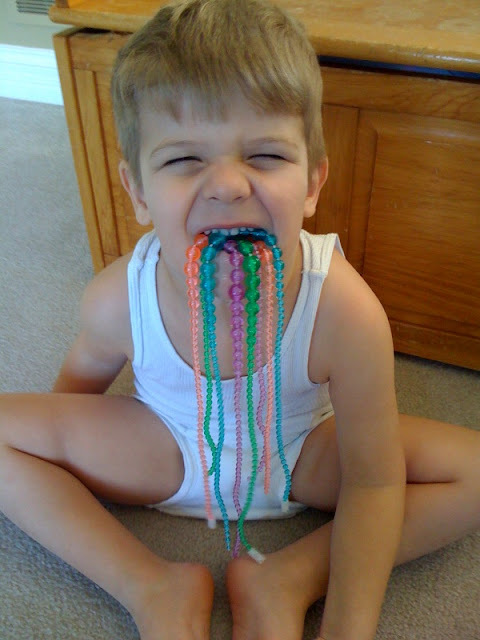 Not quite sure the point of stuffing four necklaces in his mouth, must have been bored that day.